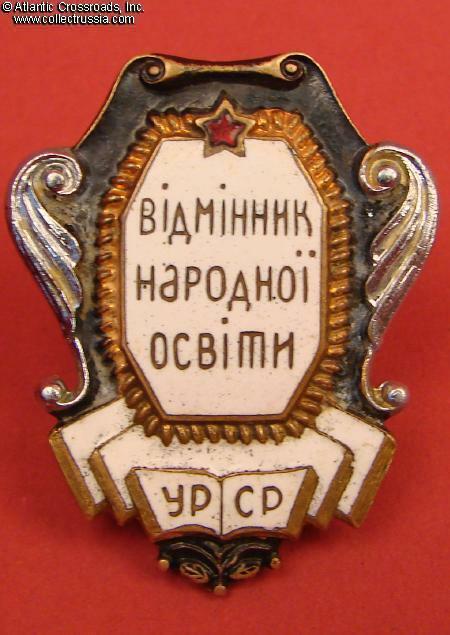 Badge for Excellence in Peoples Education of Ukraine, Type 2, 1946-early 1950s. Silver-plated brass, enamels; 39.9 x 31.9 mm, massive construction. 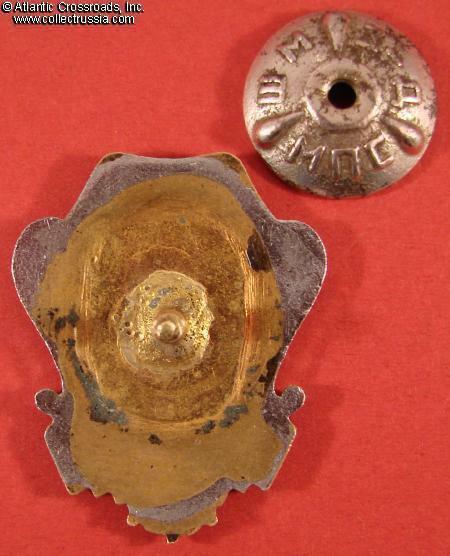 The first post-war variation, featuring silver-plated scrolls and grey background enamel of the shield. In excellent condition. The enamel is perfect (the black specks are inclusions characteristic of the period manufacture). Details of the scrolls, ornament around the shield and edges of the books are likewise completely intact; all the finishes are present and practically untouched. Comes with original screw plate marked "Z-D ShMZ. MPS" ("Mechanical Stamping Factory, Ministry of Roads of Transportation).